When business owners find themselves facing a sudden, unexpected expense they need extra money to handle, dealing with long loan applications simply isn’t an option. But if your business typically has lots of customers who pay with credit or debit cards, a merchant cash advance could allow you to turn some of your future credit card sales into money you can use right away. Technically, a merchant cash advance is not a loan. With a merchant cash advance, a business owner sells a portion of their future credit and debit card sales for money they can use right away. The provider of the advance then collects a percentage of the business’s credit/debit card transactions on a daily basis until the amount of the advance, plus the factor rate, has been collected. The percentage that is collected from the credit/debit card transactions is known as “holdback.” The business owner and the advance provider will also agree on a factor rate, or the amount the merchant pays in addition to the amount they were advanced. Merchant cash advances don’t involve the lengthy, complicated paperwork that comes along with traditional business loans. Once approved, business owners receive their funds very quickly. Because of their speed and convenience, merchant cash advances can be appealing to business owners who find themselves in need of extra money to handle an unexpected expense. Unlike many business loans, merchant cash advances do not require the business owner to provide any additional assets as collateral. This can be beneficial for smaller businesses who might not have major assets like real estate or vehicles to serve as collateral. Many merchant cash advance providers place less of an emphasis on credit scores, which make them an option for businesses that aren’t able to get approved for a regular business loan because of their business credit score. A unique benefit to merchant cash advances is that your financial obligations automatically adjusts according to your revenue levels. If you have a particularly slow day where you don’t get a lot of customers, the provider of the advance simply collects less money that day. Businesses that typically deal with a large volume of credit card transactions could potentially have their advance paid off very quickly. However, unlike with a traditional business loan, there is no financial benefit to paying off a merchant cash advance early. Since you agree to pay a set percentage every day, you don’t have the benefit of paying less interest over time like you would with a traditional business loan. Since merchant cash advances are a type of short-term funding, their rates tend to be higher than business loans with longer terms. 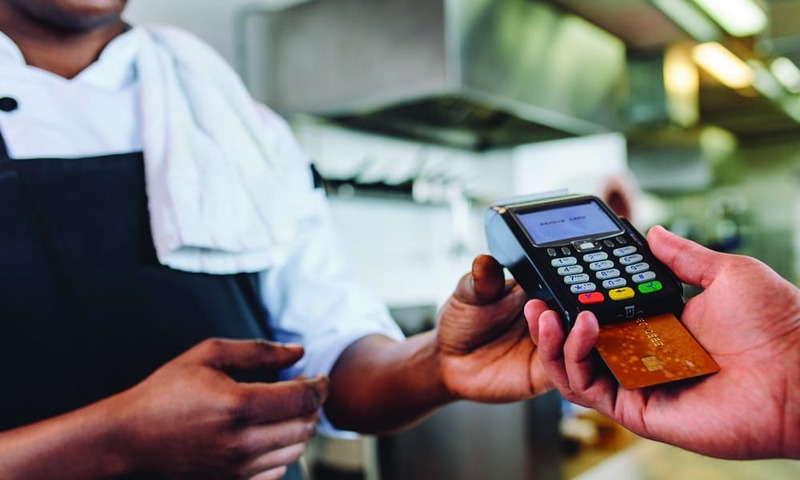 In some cases, business owners who apply for merchant cash advances are required to get new credit card terminals in order to be approved for the advance. Funds from merchant cash advances can be used for many different purposes, but since it is a type of short-term funding, they’re best used for covering temporary cash flow shortfalls. Business owners often use merchant cash advances for things like buying inventory, paying employees, making emergency repairs, marketing expenses, purchasing equipment, and other short-term expansion projects. Although merchant cash advances are often attainable for businesses with credit scores that prevent them from getting traditional business loans, that doesn’t mean your credit score isn’t a factor at all. Each merchant cash advance provider has different criteria they look for, but they generally do check your credit score before approving an application. Applications for merchant cash advances are approved very quickly and once approved, business owners receive their funds within a matter of days. To learn how much you qualify for, fill out our online prequalification request. Submitting is free and easy and will not negatively impact your credit score.